All Tour begint from Varadero or Havana in English language. Day 1: Varadero - Havana. Pick up hotel in Varadero or Havana. 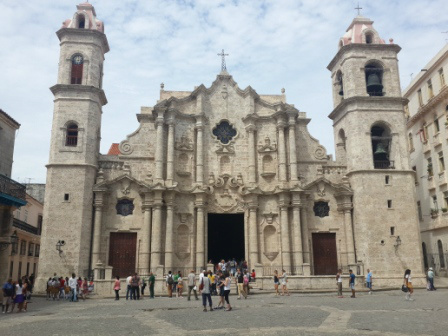 An exclusive walking tour through the historic city of Havana, a World Heritage Site. Take a walk through the main streets and squares in the historic center to learn, among other things. Plaza de Armas, Plaza San Francisco, Plaza Vieja, Plaza de la Catedral and many more sights of the old town. Have lunch in one of the best restaurants in Old Havana. 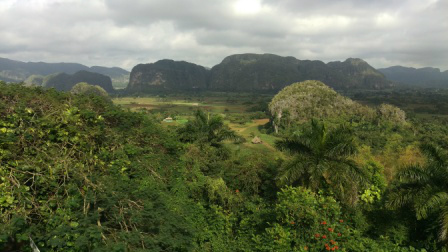 Day 2: Havana - Viñales Tour. Overnight in a beautiful private pension (Casa Particular) - Standard category - with breakfast in Viñales. 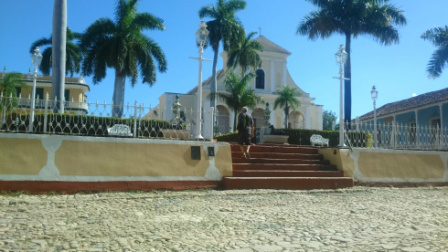 Day 3: Viñales - Playa Larga (Bay of Pigs) -Cienfuegos. Overnight in a nice private guesthouse (Casa Particular) - in Cienfuegos. 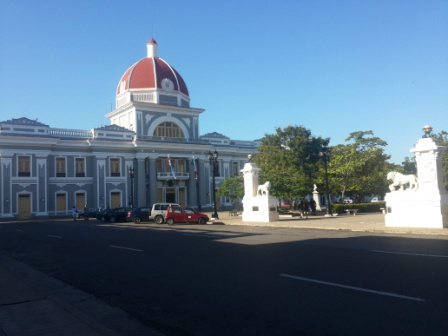 Day 4: Cienfuegos - Trinidad. 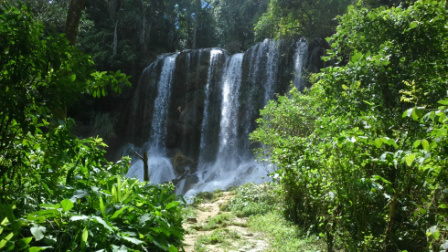 Afterwards, walk with a local guide about half a mile on foot to reach the refreshing El Nicho waterfalls. Here you have time to swim in the natural pools and enjoy nature. Sandwiched between the Escambray Mountains and the south Caribbean coast is the hinterland of Trinidad, the very fertile "Valle de los Ingenios". This region and the watchtower Manaca Iznaga are reminiscent of the time of the slaveholders with the enormous sugar plantations. The Valley of Sugar Mills was once one of Cuba's major sugar-growing centers and created the basis of prosperity for the upper classes of Trinidad. During the sugar epoch, some noble families in Trinidad became indescribably rich as they controlled all sugar cultivation and trade in Trinidad. Today you can still see ruins of sugar mills, slave shelters and warehouses. After that, the last leg of their certainly impressive tour of Cuba begins. We continue to Varadero or Havana. 2 to 3 people - 875 EUR per person. 4 to 6 people - 840 EUR per person. • Round trip by car or jeep, incl. The additional classic car excursion on the first day of the program. • A total of 4 nights: 2 nights in a private pension / casa particular in Old Havana, 1 in Cienfuegos town, 1 night in a typical colonial private guest house in Trinidad. • Meals: On all program days, breakfast and lunch are included.